A few days in between posts. Nice weather, two days of seemingly continuous grilling, gardening, and life will cause that. Just now getting around to some of these pre-season basketball rankings. 6. Pittsburgh: The top three scorers -- and seven of the top eight -- return from a 25-win team, including Ashton Gibbs, Brad Wannamaker and Gilbert Brown. The roster still doesn't seem imposing from an individual-talent perspective. But it's basically the same roster Jamie Dixon used to tear through the Big East last season. There's no reason to believe he won't do similar things next season. I don't know, I think I've mentioned this before - I'm skeptical when it comes to seeing Pitt as significantly better than last season. Everyone will be a year better and that's huge. 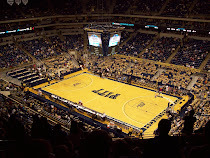 However, Pitt will still be without the go to player they desperately need, unless someone like Ashton Gibbs, Gil Brown, or Dante Taylor can step up and turn into that player. 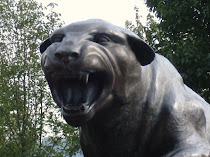 The good news for Pitt is that they will have depth. Quality depth. The team could easily go ten deep in its regular rotation. Pitt will be very good, but I don't know if I'd put them in the Final Four discussion just yet.